Paula has a Bachelor of Science and a Master of Public Health. She conducted her Masters thesis at Curtin University in Perth, working with a local Division of General Practice looking at the management of cardiovascular disease and factors that would improve patient outcomes. In the late 1990s Paula moved to the USA where she worked as a Research Associate for the Health Science Centre at the University of Texas. Her research looked at health inequalities in Grade 4 (age 8 – 10 years) children, investigating how school performance, race and socioeconomic factors affected health status. More recently Paula was a research officer with the Australian Paediatric Surveillance Unit at the Children’s Hospital, Westmead. The Unit, which gathers reports from Australian paediatricians, is producing an Australian data base of rare childhood disorders. 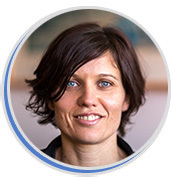 Paula joined CHERE in June 2006 and her research interests are in the application of discrete choice experiments to value multi-attribute health states for use in economic evaluation and the perception of obesity in NSW. In addition, Paula is working in the Economic Evaluation team on a number of commissioned projects. Sommer, J, Gill, K, Stein Parbury, J, Cronin, P & Katsifis, V 2019, 'The Role of Recovery Colleges in Supporting Personal Goal Achievement', Psychiatric Rehabilitation Journal. Background. SF-6D utility weights are conventionally produced using a standard gamble (SG). SG-derived weights consistently demonstrate a floor effect not observed with other elicitation techniques. Recent advances in discrete choice methods have allowed estimation of utility weights. The objective was to produce Australian utility weights for the SF-6D and to explore the application of discrete choice experiment (DCE) methods in this context. We hypothesized that weights derived using this method would reflect the largely monotonic construction of the SF-6D. Methods. We designed an online DCE and administered it to an Australia-representative online panel (n = 1017). A range of specifications investigating nonlinear preferences with respect to additional life expectancy were estimated using a random-effects probit model. The preferred model was then used to estimate a preference index such that full health and death were valued at 1 and 0, respectively, to provide an algorithm for Australian cost-utility analyses. Results. Physical functioning, pain, mental health, and vitality were the largest drivers of utility weights. Combining levels to remove illogical orderings did not lead to a poorer model fit. Relative to international SG-derived weights, the range of utility weights was larger with 5% of health states valued below zero. Conclusions. DCEs can be used to investigate preferences for health profiles and to estimate utility weights for multi-attribute utility instruments. Australian cost-utility analyses can now use domestic SF-6D weights. The comparability of DCE results to those using other elicitation methods for estimating utility weights for quality-adjusted life-year calculations should be further investigated. Conventionally, generic quality-of-life health states, defined within multi-attribute utility instruments, have been valued using a Standard Gamble or a Time Trade-Off. Both are grounded in expected utility theory but impose strong assumptions about the form of the utility function. Preference elicitation tasks for both are complicated, limiting the number of health states that each respondent can value and, therefore, that can be valued overall. The usual approach has been to value a set of the possible health states and impute values for the remainder. Discrete Choice Experiments (DCEs) offer an attractive alternative, allowing investigation of more flexible specifications of the utility function and greater coverage of the response surface. We designed a DCE to obtain values for EQ-5D health states and implemented it in an Australia-representative online panel (n?=?1,031). A range of specifications investigating non-linear preferences with respect to time and interactions between EQ-5D levels were estimated using a random-effects probit model. The results provide empirical support for a flexible utility function, including at least some two-factor interactions. We then constructed a preference index such that full health and death were valued at 1 and 0, respectively, to provide a DCE-based algorithm for Australian cost-utility analyses. gain among 5- to 11-year old children from at risk families.